Principals most influence student learning by supporting active teacher leadership to support strong learning climates. 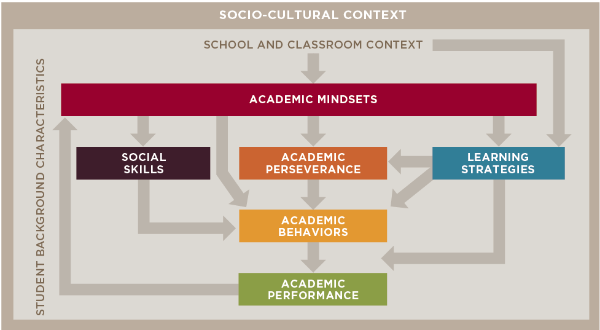 Teachers can influence students’ academic performance in their classrooms and schools by supporting the development of key “noncognitive” factors. 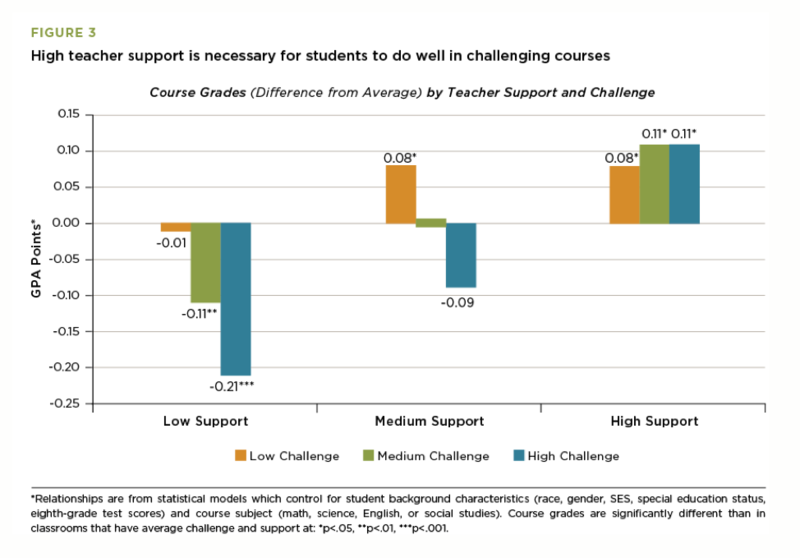 Students' grades are highest in classes that provide the most support—where teachers know how students are doing, give help when they need it, and provide clear explanations. REACH teacher evaluations led to changes in teacher ratings district-wide in Chicago Public Schools: fewer were rated as “excellent,” and more were rated as “developing” than with the previous rating system. 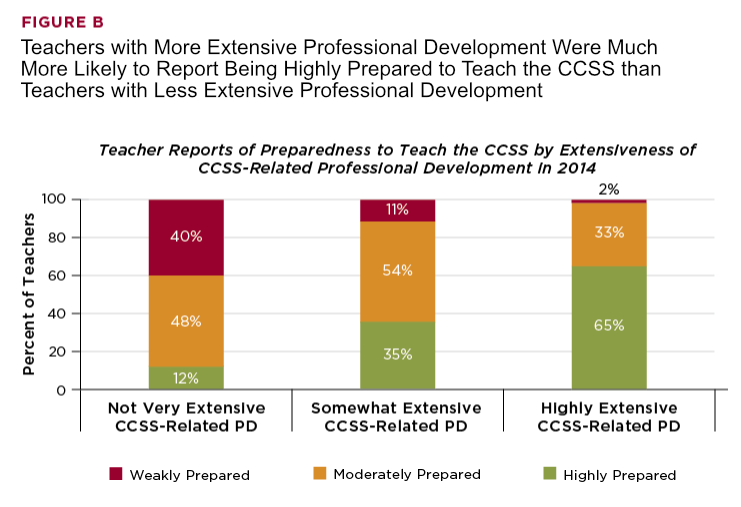 Teachers who received more extensive professional development felt more prepared to teach the Common Core State Standards. School leaders can use the 5Essentials surveys, developed by Consortium researchers, to identify key areas for school improvement: strength in the essential supports was associated with student learning gains across Illinois. 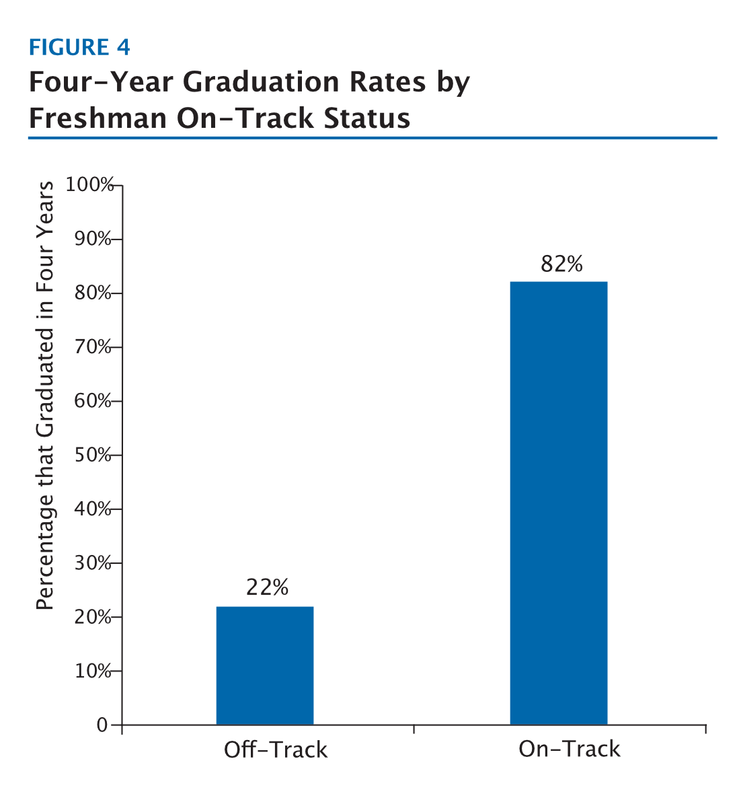 On-track freshmen are four times more likely to graduate from high school than their peers who are off-track; school leaders’ use of data and systems can dramatically improve on-track rates. Schools vary widely in suspension rates and use of supplemental supports; teachers and leaders can evaluate school practices and impacts.